At Affinity Packaging we are constantly striving to improve our customer focus and look for new opportunities to streamline our processes. 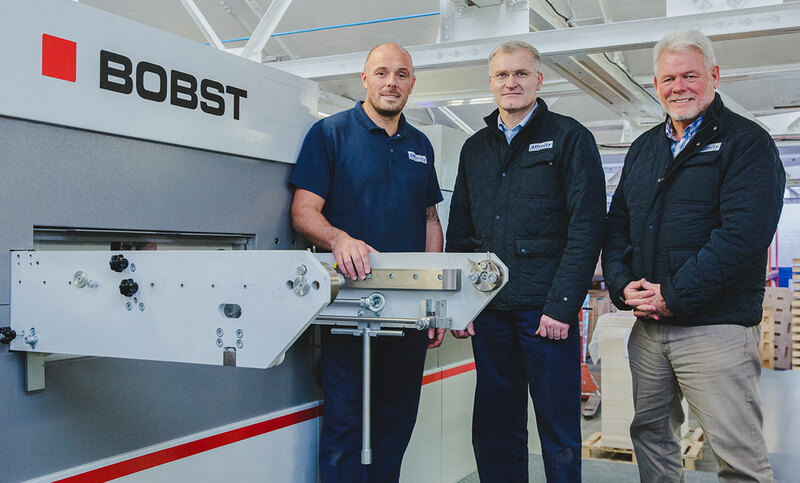 By investing in a Novacut 106 E Autoplaten® die-cutter we are able to continue in our ongoing program of growth and expansion whilst improving our quality and speed of turnaround for existing clients. Managing Director Chris Dew believes “the purchase of this machinery, coupled with the investment in the Signature Premier 110 CS folder-gluer machine in the early part of 2017, will take Affinity Packaging to a higher level in the market. “For the past four years, we have focused on building the foundations to a sound, robust business by continually investing in our people, products and equipment. This has been highly successful, demonstrated by a significant increase in turnover and employee numbers – during the past year alone we have created 12 new jobs.